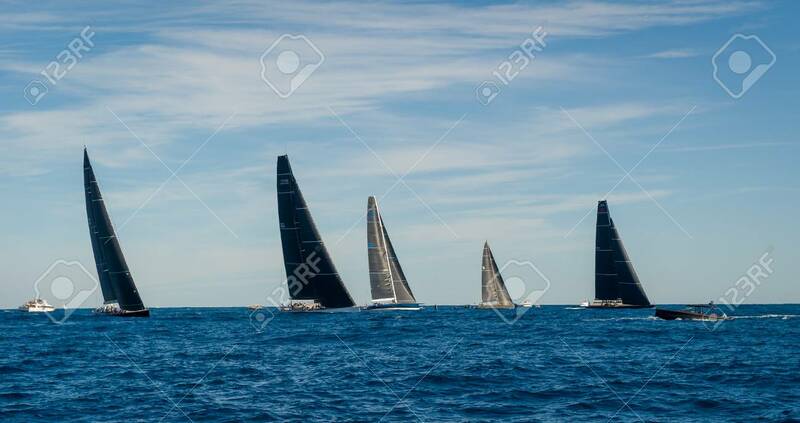 Racing Sailing Yachts With Black Sails In The Mediterranean Sea... Stock Photo, Picture And Royalty Free Image. Image 114302208. Stock Photo - Racing sailing yachts with black sails in the mediterranean sea. Saint-Tropez regatta, France. Racing sailing yachts with black sails in the mediterranean sea. Saint-Tropez regatta, France.